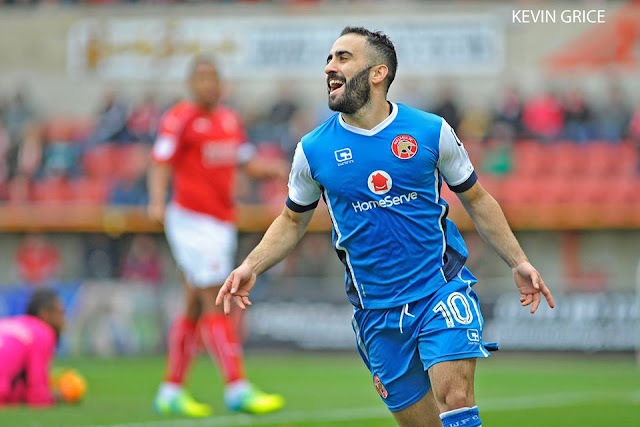 Sky Bet Championship outfit Bolton Wanderers have confimred that Walsall attacker Erhun Oztumer has agreed terms on a two-year deal to join the club when his Saddlers contract expires at the end of the month. Erhun is heading for the exit door at Banks's Stadium after turning down several new contract offers with his agent insisting that the former Dulwich Hamlet and Peterborough United attacker was keen to consider his options as several higher-ranked clubs came calling. Oztumer, who was also on the transfer radar of clubs such as Sunderland and Preston North End, made ninety-five first-team appearances since joining the Saddlers on a free transfer in the summer of 2016, and was not short of suitors following two seasons which saw him score more goals than any of his various teammates. Recently-appointed Walsall boss Dean Keates is understood to have been planning for life without Erhun for much of the summer break and is expected to be concentrating on adding players who will fit into a 4-4-2 formation.